Earlier this month, the Competition Commission has announced that it has begun to investigate into the Hong Kong Seaport Alliance matter and whether such cooperation between different terminal operators in Kwai Tsing terminals will violate the First Conduct Rule by preventing, restricting or distorting competition in Hong Kong. Interestingly, just a few months ago in October 2018, the Commission has also published a decision on the First Conduct Rule, confirming that the Code of Banking Practice (Code) is not excluded by the legal requirements exclusion under section 2(1) of Schedule 1 of the Competition Ordinance (Cap. 619 of the Laws of Hong Kong) (Legal Requirements Exclusion). The Code is an industry code of practice issued jointly by the Hong Kong Association of Banks and the DTC Association which sets out of the recommendations on banking practice towards customers in Hong Kong. The relevant provisions of the Code include 18 provisions which may have the effect of restricting the authorized institutions from determining their conduct independently and competing on the relevant fees, charges, interest rates and credit limits, 17 of which have been suspended before the First Conduct Rule came into force, even though Hong Kong Monetary Authority (HKMA) has indicated it still expects all authorized institutions to fully comply. The Competition Commission was requested to consider whether or not the Code was excluded or exempt from the application of the First Conduct Rule as a result of the Legal Requirements Exclusion. 1. The Competition Commission referred to its Guideline on the First Conduct Rule and stated that for the Legal Requirements Exclusion to apply, the relevant legal requirements must eliminate any margin of autonomy on the part of the undertakings concerned compelling them to enter into or engage in the agreement or conduct in question. Mere approval or encouragement on the part of the public authorities to enter into an agreement will not suffice. 2. Despite the HKMA’s submission that it is conferred with statutory powers under the Banking Ordinance to monitor the authorized institutions’ compliance with the Code and to take supervisory actions, and that compliance with the Code is taken seriously by both the HKMA and the banks in Hong Kong, the Competition Commission took the view that the Code was neither imposed “by” nor “under” an enactment. Instead, the Competition Commission remarked, among others, that the Code is a non-statutory document to be supplementary to the relevant legislation and was issued independently of the exercise of any powers, functions or requirements under the Banking Ordinance. 3. The Competition Commission also considered that compliance or breach of the Code would not in itself impact upon the authorized institutions’ obtaining or retaining of authorization under the Banking Ordinance. Similarly, a breach of the Code will not automatically give rise to a breach of the authorization criteria or other provisions of the Banking Ordinance. 4. As such, the Competition Commission held that the Code should not be excluded from the application of the First Conduct Rule and the Legal Requirements Exclusion does not apply in this case. Nevertheless, the Commission expressly stated that its Statement of Reasons should not be interpreted to suggest that there has been any contravention of the First Conduct Rule by the authorized institutions as a result of the giving effect to the Code. On this point, the Competition Commission reiterated its stance for its enforcement policy and emphasised that it aims to direct its resources to the investigation and enforcement of anti-competitive conduct that is clearly harmful to competition and consumers in Hong Kong. The Commission recognised the underlying objectives of the Code as promotion of good banking practices and is beneficial to consumers by ensuring they are properly informed and are able to compare competing offers. As such, the Commission had no intention to pursue an investigation or take any enforcement action in respect of the Code. The October decision was a long-awaited decision for the banking industry which clarifies how the Competition Commission interprets the First Conduct Rule and its position towards the Code. 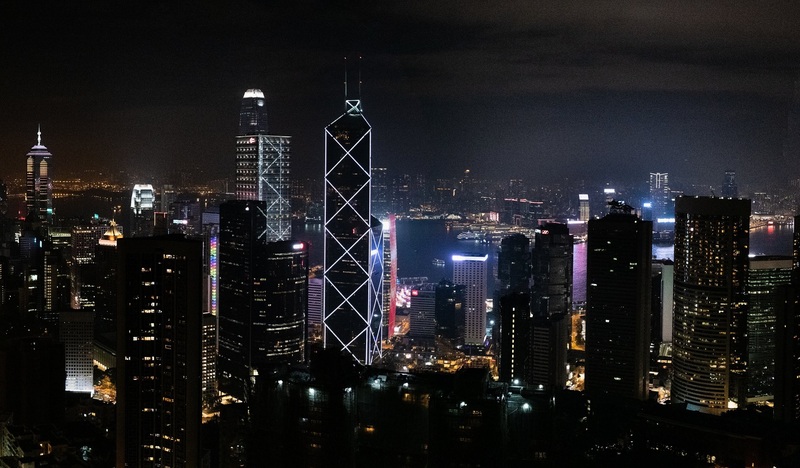 Furthermore, as noted by the Hong Kong Federation of Insurers and the Consumer Council, the Statement of Reasons may have potential wider implications for codes of conduct for similar industries.